Toronto Coalition to Stop War is organizing a rally “Don’t Attack Iran” on Saturday October 6th 2012. While many of us Iranian/Canadians strongly oppose any type military intervention against Iran, we also strongly oppose the Islamic Regime in Iran, and many of us are actively supporting the pro-democracy movement in Iran which seeks to overthrow the Islamic Regime. Unfortunately the Toronto Coalition to Stop War and those who participate in these types of protests only focus on the issue of war, while taking no position on the Islamic Regime and the oppression of the Iranian people by the Regime. Also it appears that many individuals who support the Regime or lobby for the regime in Canada are very active in these protests. In fact during a protest that was organized by the same organization in March of 2012 pro-democracy activists were physically attacked by these Regime supporters, because they were carrying signs and banners that condemned the Islamic Regime. A video of the March protest shows Regime supporters carrying the Islamic Regime flag (a clear sign of support for the Regime). There were also many pro-Palestine slogans similar to the hateful slogans chanted at the Al Qods Rally in August of this year. No doubt this is a very sensitive time for Iran, with the closing of the Islamic Regime Embassy in Canada and strong sanctions on the Regime, it is natural for many of us to be concerned about a possible military action against Iran. At this time it is CRUCIAL for the Iranian Canadian Community to take a clear stand not only against possible military action against Iran, but also against the Islamic Regime in Iran. Experience has shown that those who only condemn war without condemning the Islamic Regime in Iran are nothing but Regime lobbyists and supporters. As the Iranian-Canadian Community who are fighting for a free and democratic Iran we must have a strong presence at any anti war rally with a clear and concise message of NO TO WAR & NO TO ISLAMIC REGIME IN IRAN! We cannot allow these protests to be taken over by Islamic Regime supporters whose only concern is to keep the Islamic Regime in power by trying to prevent any military action against the Regime. Hope to see everyone there with the Slogan of NO TO WAR AND NO TO THE ISLAMIC REGIME IN IRAN! 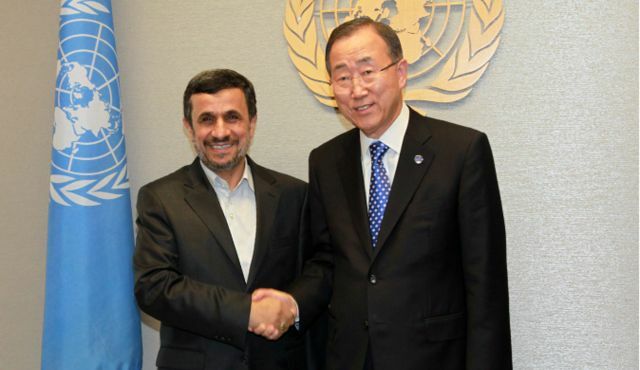 PRESS RELEASE: Mahmoud Ahmadinejad must be banned from Speaking at the United Nations General Assembly! Mahmoud Ahmadinejad and his entourage have arrived in New York and he will be speaking at the 67th Session of the United Nations General Assembly! Sayeh Hassan an Iranian Canadian lawyer, blogger and pro-democracy activist stated: “Mahmoud Ahmadinejad represents a brutal, fundamentalist Islamic dictatorship that systematically arrests, tortures, rapes and executes its own people. A regime that funds and supports international terrorism, by supporting terrorist organizations such as Hammas and Hezbollah. A dictatorship that may be on the verge of acquiring nuclear weapons and is a danger not only to the people of Iran but to the international community as a whole. Ms. Hassan expressed “while Canada has taken the right step by shutting down the Iranian Embassy in Canada, and politically isolating the Islamic Regime, unfortunately the United States has not followed suit and instead is allowing Ahmadinejad to get up on this public podium to address the international community and to continue to spread the hateful, violent and racist propaganda of the Islamic Regime. Iranian Woman at Risk of Deportation- May face Death by Stoning in Iran!! Fatemeh Derakhshandeh Tosarvandan an Iranian woman whose asylum request was rejected last October may be deported on Wednesday September 26th 2012. According to an article in The Star Ms. Tosarvandan may face an unfair trial and be sentenced to death by stoning due to the alleged charge of adultery. According to this article Ms. Tosarvandan may have been falsely accused by her estranged husband in order to punish her. While I am not personally familiar with Ms. Tosarvandan’s case I am very familiar with the Islamic Regime and the Sharia Law practiced in Iran. Under this law women may very well be sentenced to death by stoning for the “crime of adultery.” Sharia law is extremely discriminatory against women and it would take very little more than the testimony of the estranged husband to convict Ms. Tosarvandan and sentence her to death by stoning. I find it ironic that a woman who may face such barbaric punishment may be deported to Iran while Canada has become a safe haven for many individuals and their families who are closely linked to the Islamic Regime in Iran. For many years these individuals have been able to come to Canada, bring with them millions of dollars which rightfully belongs to the people of Iran and to build a second home for themselves. Case in point Mahmoud Khavari the former head of the Melli (National) Bank which has been sanctioned by Canada and the United States for funding international terrorism and Iran’s nuclear program, was able to come to Canada with his family and obtain a Canadian Citizenship! Unfortunately there are many others like him who are living a comfortable life in Canada. While I welcome Canada’s latest decision to shut down the Iranian Embassy, I believe this is only the first step. I would urge the Canadian Government to focus on identifying individuals affiliated with the dictatorship in Iran, freeze their assets and remove them from Canada instead of deporting a woman who may be executed in the most brutal way as soon as she is sent back to Iran. PRESS RELEASE: Carleton Student Association linked to the Iranian Regime must be Shut Down! 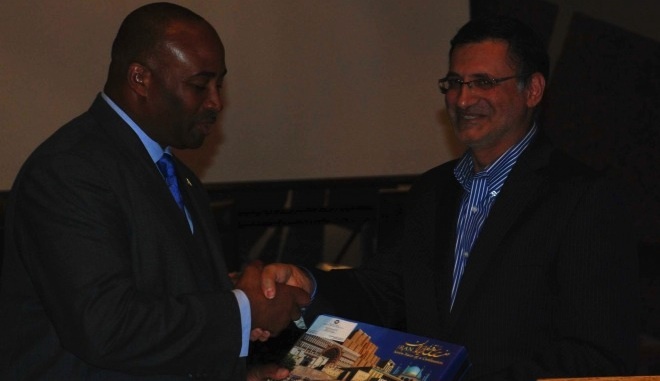 Recently a Mclean’s Exclusive exposed the fact that the President of the Iranian Cultural Association of Carleton University Ehsan Mohammadi had solicited money for the club from Iranian President Mahmoud Ahmadinejad’s close friend and chief of staff Esfandiyar Rahim Mashaei. Ehsan Mohammadi the son of Hamid Mohammadi the Iranian Cultural Counsellor at the Iranian Embassy has written directly to Esfandiyar Mashaei’s office at least on one occasion asking for funding. A Toronto lawyer who fled Iran 25 years ago, Sayeh Hassan, said Iranian-Canadians had pressured Ottawa for years to close the Iranian embassy. She said even Iranians in Iran had been posting approving messages on her Facebook wall. “Everybody is thrilled. We just can’t believe it,” she said. Iranian lawyer and activist Sayeh Hassan said the closure would boost the morale of pro-democracy activists in Iran. Iran protests Closure of Canadian Embassy in Tehran: MeanwhileIranian-Canadian lawyer Sayeh Hassan said she welcomes Ottawa’s decision. “Putting an end to the diplomatic relations between Canada and Iran will give a much needed positive boos(t) to the morale of the pro-democracy activists in Iran who are fighting to overthrow this Islamic dictatorship (sic),” she wrote in a statement. Canada has closed its Embassy in Iran, effective immediately and declared personae non gratae all remaining diplomats in Canada. Iranian diplomats in Ottawa have been instructed to leave Canada within five days. Conservative Senator Attending an Iranian Embassy Cultural Event! According to an article in Macleans a Conservative Senator Don Meredith was the guest of honour at a cultural event organized by the Iranian Embassy in Ottawa this past Saturday. The Harper Government has taken a very strong stand against the Iranian Regime, condemning its systematic human rights violations and imposing tough economic sanctions. In the midst of media reports that the Iranian Embassy may be seeking to infiltrate/influence various Canadian entities it is shocking that a Conservative Senator would attend such an event and by doing so give some much needed credibility to the Iranian Regime and its Embassy in Ottawa. I hope to see a strong reaction from the Harper Government in this regard. In the meantime please find below the contact information for Senator Don Meredith and contact him to voice your concerns!